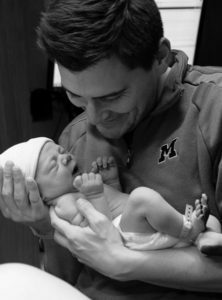 Dr Taibl and his wife welcomed their second child into the world in mid March. Beckham William was born weighing 8lbs 2oz and was 20.5 inches long. He is a relaxed baby with a great appetite! Congratulations Dr Taibl. He is such a beautiful baby!